Sometimes you are required to sign your own name on a contract electronic document or some important form. However, how to reach this? 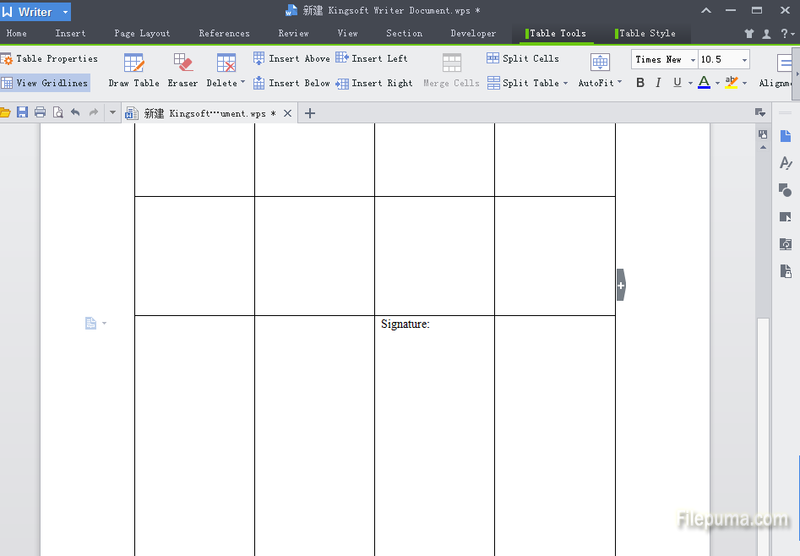 As an office suite of desktop applications, Kingsoft Office consists of a word processor—Writer, spreadsheet program—Spreadsheets and a presentation program—Presentation. Compared with other office suites, Kingsoft Office is considered as one of the best office applications with user-friendly interfaces and excellent performances. Scanister can help you to do this, but not everyone owns one. So today we set Kingsoft Office word as an example to show you how to do this without scanister. 1. You need a tablet computer to write. Create an image and sign your name on it. 2. Open your contract or forms with Kingsoft Office document. 3. Move the cursor to the place which needs your signature. Then insert the signature image with “Insert Picture” function. 4. 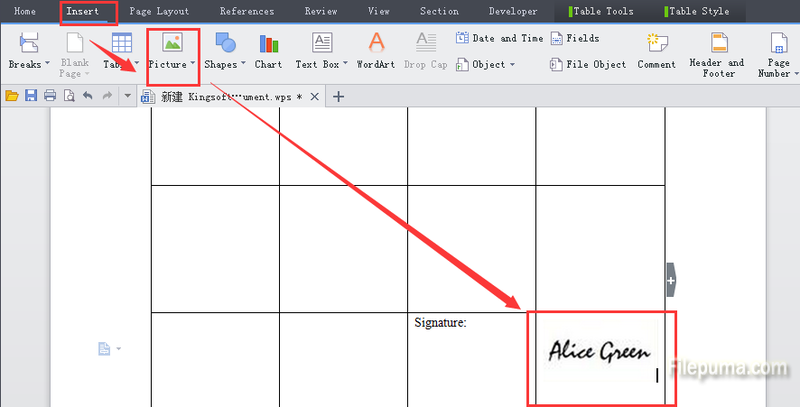 Now you’ve successfully sign your name to an electronic document.